Dimensions: 1.25 inches (L) x 0.75 inch (Diameter) approx. 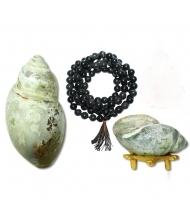 The worship of Heera Shankhs will be blessed immense fortune and luck if the japa of the Goddess Laxmi mantra will be done using the sphatik mala. The Heera Shankhs will be most beautiful Shankhs that can happen by virtue of presence of different colored gems and precious stones and can take the devotee to the Laxmi Siddhi. 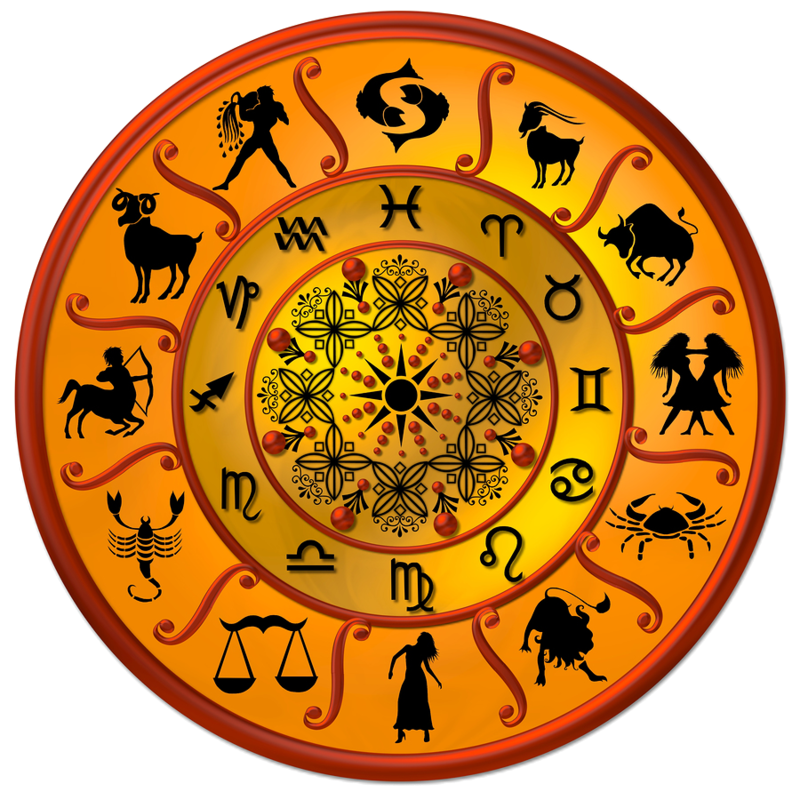 It is highly recommended to keep Heera Shankhs in the puja room or Altar. These Shankh after millions of years became fossilized and were embedded with beautiful gems and diamond like colored stones. The Heera Shankh are also very rare and are not easily available. The Heera Shankh like Dakshinavarta Shankh are right side Shankh and very similar to the properties of the Dakshinavarta Shankh. The worshipper of Heera Shankh is blessed with immense fortune and luck. 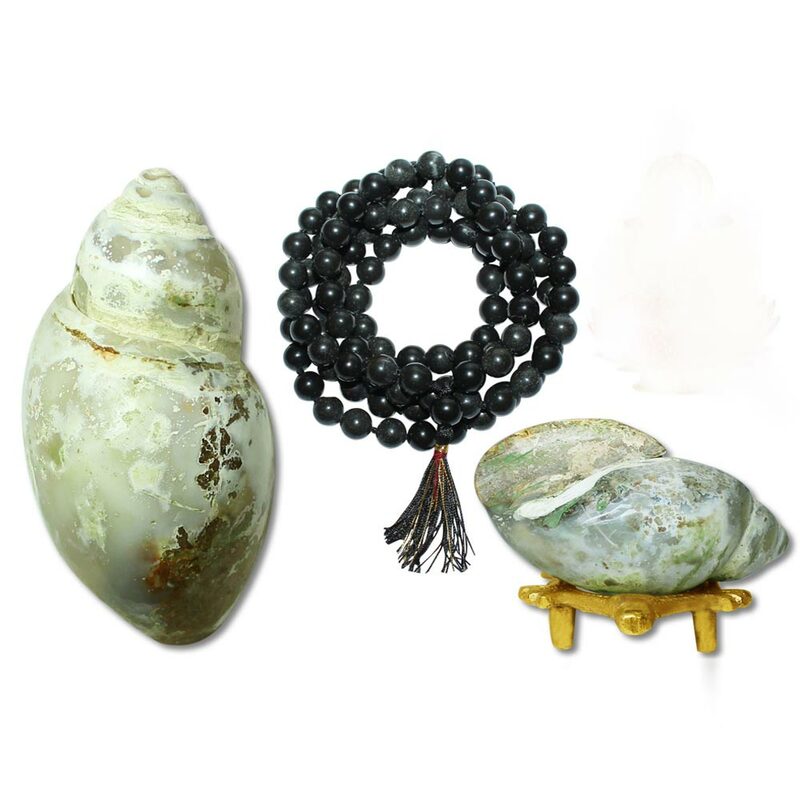 Heera Shankha is an auspicious and natural shankha found in mountains. It is very effective in attracting Wealth Goddess. Its also known as Pahadi Shankha. The Heera Shankh takes the devotee to Laxmi Siddhi and bestows him with immense wealth, fortune and protection. Heera Shankh are found in the mountains and has sparkling crystal like substance in the opening and sometimes on the shell also. Its dull from outer crust but its inner portion shines like diamonds. It is rare to found, but with very high energies. Dimensions:1.25inches (L) x 0.75 inch (Diameter) approx. Shankha's significance is traced to the nomadic times of the animists who used the sound emanating from this unique shell to drive away evil demons of whom they were scared. Over the centuries, the shankha was adopted as one of the divine symbols of Hinduism. Brahma Vaivarta Purana recalls the creation of conchs: Lord Shiva flung a trident towards the demons, burning them instantaneously.Their ashes flew in the sea creating conchs.